Cook your way to profits with another pasta dish that you can easily sell. 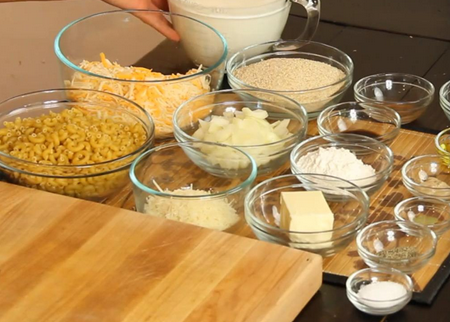 Here’s how to make Pinoy-style baked macaroni. 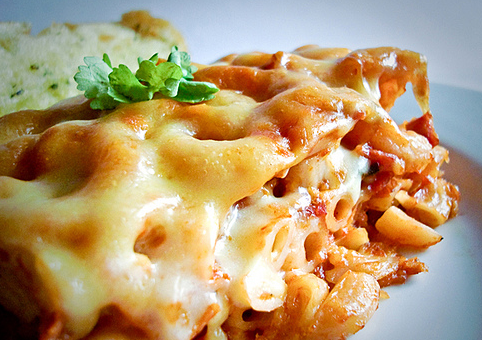 Baked macaroni is another top favorite pasta dish of Filipinos. It should not be mistaken for the equally popular macaroni and cheese. For one, baked macaroni is more preferred by local foodies because it has meat, which makes it a complete meal (carbohydrates plus protein). Ground beef is the most recommended meat ingredient although some prefer pork and/or chicken. At times, minced ham is added to make it meatier. The Mornay sauce (that is how the white sauce topping it is called) adds to the rich gastronomic experience. Baking is done to make it have a more distinguished finishing. 1. Cook elbow macaroni according to instructions set in the product package. Cut the cooking time to make sure macaroni will not be well done. (Macaroni will again be cooked during the baking process later.) Drain and set aside. 2. Start making the meat sauce by melting butter in a cooking pot. 3. Add ground beef (or pork/chicken) and cook for about 5 minutes or until it turns a little brownish. 4. Add onion, diced tomatoes, and green bell pepper. Simmer for about 3 minutes or until bell pepper gets softer. 5. Then add paprika and tomato paste. Stir and cook for about a minute. Put the beef cube and add water. Stir again until the cube gets fully dissolved. Simmer for another 20 minutes. 6. To enhance the taste, add sugar, salt, and pepper. Turn off the heat. Set aside this sauce. 7. 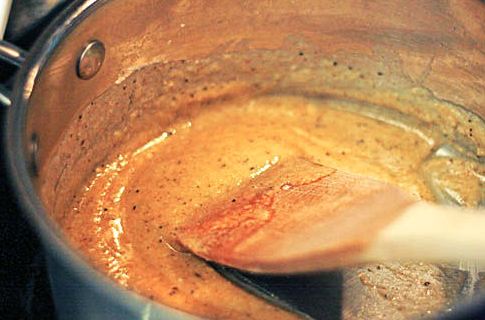 To prepare the Mornay sauce, melt butter in a saucepan. 8. Add flour. Stir for about a minute or until flour gets yellowish. 9. Whisk in milk until the sauce gets thicker. Make it boil. Add salt and pepper and simmer for about 3 minutes. Add cheese and stir until it melts. Set this sauce aside. 10. In a baking dish, combine macaroni and meat sauce. Toss until the sauce is evenly distributed. 11. Pour the Mornay sauce over macaroni. 12. Pre-heat the oven to 350°F and bake your macaroni for about 15 minutes. Afterwards, remove it from the oven and let it cool down. It may now be served or delivered to your customers.